Voters across Toronto are heading to the ballot boxes today to choose their next municipal leaders. Despite being the most prominent mayoral contenders, John Tory and Jennifer Keesmaat aren’t the only candidates running to lead Toronto. Sarah Climenhaga, a safe streets advocate, registered to run for Mayor of Toronto the moment nominations opened at 8:30 am on May 1. Five months later, she said that the campaign has been going well, and that she has been able to drum up grassroots support through social media and public appearances. At the same time, however, she noted the lack of media attention on her candidacy. “I have never really been able to break into the media, and without regular media coverage, it’s just too difficult to reach all of the Torontonians who are voting in this huge city,” Climenhaga said. When The Varsity spoke with Climenhaga, six days were left in the campaign, and contenders were trying to reach as many people as possible and distinguish themselves among the 35 mayoral candidates. Nevertheless, Climenhaga said that the last few weeks had been good for her bid to become the city’s chief executive. She cited positive feedback from her debate performances, many of which have involved four candidates as a result of Tory’s announcement that he would not debate Keesmaat one-on-one. Tory is running for re-election and Keesmaat, who is currently at second place in the polls, is the city’s former Chief Planner. Human rights lawyer Saron Gebresellassi echoed her mayoral rival and said that her own campaign has had many breakthroughs despite not having as high a budget as Tory’s. In an interview, Gebresellassi said that she was campaigning as a “progressive alternative” to Tory. Gebresellassi also mentioned that she was confident that, through community organizing, her bid for mayor would be able to defeat the “machinery” of Tory and Keesmaat. Despite gains on social media, Gebresellassi called out the media’s perceived fixation on Keesmaat, calling her campaign “manufactured” and lacking in authenticity. 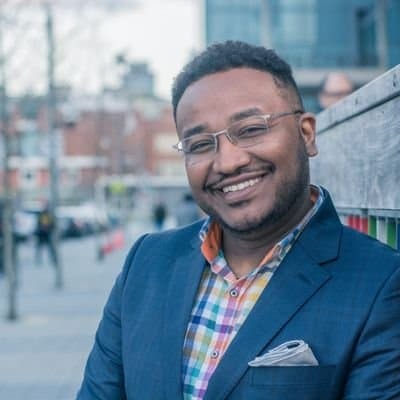 Gebresellassi also criticized Keesmaat for leaving minutes into a Mayoral Forum on Affordable Housing and Homelessness at the Ontario Institute for Studies in Education when the event was disrupted by supporters of the controversial mayoral candidate and white nationalist Faith Goldy. Gebresellassi and Climenhaga are both running on progressive platforms of expanded social services and more equitable communities across the city. Climenhaga spoke on how places with good transit, bike-friendly streets, and walkable pavements are expensive, while areas that don’t have transit — and are thus predominantly car-oriented — are more affordable. “We’re actually forcing people of low income to buy a car because they can’t afford to live in the neighbourhoods where you don’t need a car,” she said. Climenhaga proposed prioritizing public transportation over private vehicles, favouring bicycle corridors throughout the city, and adding more traffic-calming measures like lower speed limits in residential neighbourhoods. For her part, Gebresellassi is proposing to make public transit free for all users, a central tenet of her campaign. “It’s not something that would happen overnight, but it’s certainly something that is in the future of the city,” she added. When asked about what they would do about precarious housing, given the house fire that killed a UTSC student back in May, Climenhaga said that she would harmonize the rules surrounding rooming houses to make them safe and viable options for students. She added that she will commit to a “really aggressive approach” on the issue by unlocking city lands, which she says are underutilized, and committing to inclusionary zoning to build more affordable units. Mayor John Tory will be up for re-election in the municipal elections on October 22. Tory, who is currently leading in the polls, was a graduate of Trinity College and the leader of the Progressive Conservative Party of Ontario from 2004–2009. Following the late mayor Rob Ford’s drug abuse controversy and subsequent leave of absence for rehabilitation, Tory was elected in October 2014 as Mayor of Toronto. This includes promises to keep property taxes at or below the rate of inflation for four more years — a mainstay from his campaign in 2014 — and implementing a Poverty Reduction 2.0 plan. The plan would address “Housing Stability, Service Access, Transit Equity, Food Access, Quality Jobs and Livable Wages, Systemic Change,” though no detailed funding and execution plans are available. Tory also touts his success, claiming that 200,000 jobs were created during his current term, and hopes to push for more from the tech, film, and banking sectors. He plans to do this by keeping commercial property taxes low. He also hopes to expand youth employment through his Partnership to Advance Youth Employment program, which aims to reduce youth unemployment by half. Keesmaat’s proposed taxes include one on luxury homes over $4 million and another charge for stormwater management. With nearly 100 homeless deaths in Toronto in 2017 alone, Tory was called out this past winter for his delayed decision to expand winter shelters into city armouries for the homeless. He was also criticized for not attending a mayoral forum on affordable housing and homelessness held at U of T on October 15. In this election, Tory has put affordable housing at the centre of his second term, calling for 400 new spaces for Toronto’s homeless population to relieve the often overcrowded shelters. Tory’s affordable housing platform is based on building 40,000 affordable rental units over 12 years, which is mainly a continuation of his current work. Tory’s transit plan is largely a continuation of his work as mayor, including the controversial one-stop Scarborough subway plan, which was voted for by City Council over light rail transit but criticized for being poorly planned. During his current term, Tory struck a fare agreement with the provincial government for $3 GO fares and secured a $9 billion downpayment from the provincial and federal governments for transit. After what he described as a “shocking” wave of gun deaths over the summer, Tory reversed his police hiring freeze and proposed a handgun ban to be considered by the federal government. In his campaign commitments, Tory promised to establish a Community Safety Advisory Body and match the $25 million that the provincial government has invested into community safety programs — with an emphasis on community programming for young people. Jennifer Keesmaat’s last-minute entry into the mayoral race drew her a lot of attention in a short campaign season. Since joining the race, she has steadily remained in second place in the polls. Keesmaat is a York University and University of Western Ontario alum, and was Toronto’s Chief Planner from 2012–2017. Keesmaat’s policy plan consists of making Toronto greener and more sustainable, transforming Yonge Street, and focusing on transit planning. Keesmaat’s environmental plan aims to create 100 kilometres of green streets each year mainly by planting gardens and trees on all streets that need to be resurfaced. She also plans on making more environmentally conscious infrastructure decisions, going off of what the Queens Quay Sustainable Sidewalk Program and the Rain Garden Parkette have aimed to accomplish. She is also dedicated to creating a stormwater management charge. Keesmaat plans to double the amount of mental health workers that work with the police force. She also aims to expand the neighbourhood policing program to 140 neighbourhoods, with the hopes of bringing 911 response times up to the national average. If elected, she would request the provincial and federal governments to ban the sale of handguns and handgun ammunition within Toronto’s borders. Keesmaat plans to make the Vision Zero approach a requirement to all new development projects. Vision Zero is a municipal plan to make Toronto streets safer for drivers, passengers, pedestrians, and cyclists. Under Vision Zero, Keesmaat would support reducing the speed limit to 30 kilometres per hour on all residential roads, as well as redesigning dangerous intersections and school zones within two years. Like Tory, Keesmaat promised that she would cap most residential property taxes at inflation. She is making an exception, however, to tax luxury homeowners with homes worth over $4 million at an additional 0.4 per cent per year. The revenue from this tax would go back into an affordable home ownership program. Keesmaat also said that she would push to see more revenue from the provincial and federal governments to go back into the city. To confront what she sees as transit planning chaos, Keesmaat plans to make up for lost time on a proposed relief line, which is a plan to build a rapid transit system to combat the crowded subways on Line 1. Stations have already been selected, and according to Keesmaat it would take the city about one to two years to acquire property. During this time, utility relocations could commence, which she estimates will be about a six-month process. “Everyone who rides the subway to work or school every day knows that we’ve reached a crisis point in this city. You wait on a dangerously overcrowded platform as packed train after packed train passes you by. And when you can finally get on, you’re crushed. Toronto commuters need relief, and they need it now,” said Keesmaat. Her Yonge Street plan looks to “transform Yonge St. from Sheppard to Finch into a vibrant and unique urban destination in the heart of North York.” Keesmaat wants to make Yonge Street a place where residents can walk, drive, bike, and work. She also aims to address the amount of collisions, and instances of bikers and pedestrians being hit by cars. Election day is on October 22, and advance voting ran October 10–14. Toronto is just a few days away from electing a mayor and a 25-seat city council, along with school board trustees. In advance of October 22, The Varsity spoke with some candidates for Ward 25 Scarborough—Rouge Park — the most contested U of T electoral district and the one that contains UTSC — about their platforms, policies, and visions for students. Neethan Shan, the incumbent councillor for Ward 42 Scarborough—Rouge River, which is now a part of Ward 25, has a long history of community and public service. Born in Sri Lanka, Shan came to Canada as a refugee when he was 16, and went on to work in youth programs with various social services agencies. 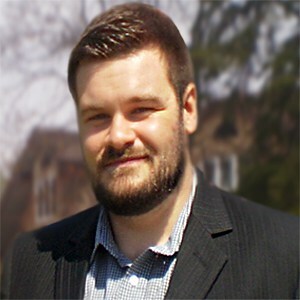 He served on the York Region District School Board from 2006–2010, and was elected to the Toronto District School Board in a 2016 by-election. Shan also later successfully contested a 2017 by-election for city council to become the body’s second Tamil Canadian representative. “Postsecondary institutions, including the University of Toronto, need to work together with the City of Toronto, to build affordable housing options for students that are close to campus,” said Shan. He noted that current and future rooming houses need to be regulated in order to ensure students’ safety, and encouraged a partnership between U of T and the city. On road safety, Shan said he supports increased regulations near educational institutions, such as speed reductions, stop signs, and improved traffic lights. He also said that the city needs to enhance the enforcement of existing rules by holding those who break traffic rules around educational facilities accountable. 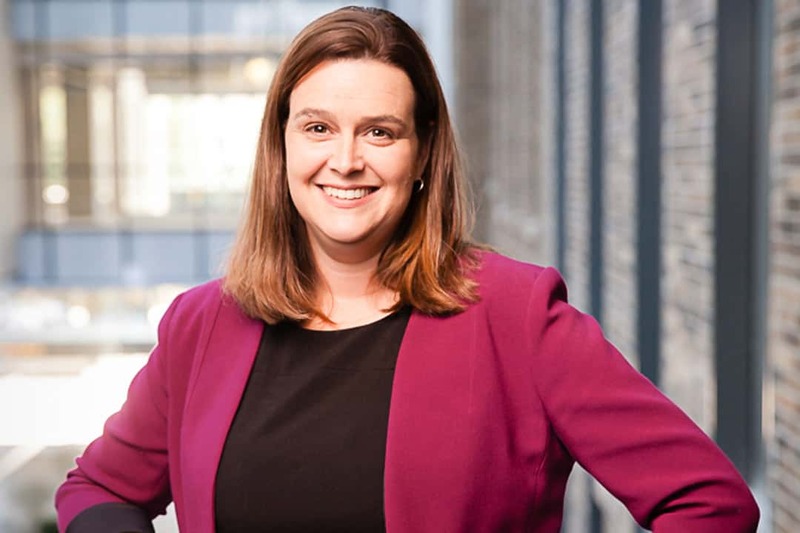 Jennifer McKelvie is an environmental geoscientist who headed the Scarborough Community Renewal Organization and served as a board member on the UTSC Campus Council. She was also a member of both the Toronto Region Conservation Authority and the Scarborough Women of Philanthropy. McKelvie advocates for safe school zones and new housing options for seniors, among many other issues. On transit, she hopes to focus on an integrated Scarborough transit system, which would include an extension to the current subway system, the Eglinton East LRT, and improved bus services. Drawing from her work prior to and as the inaugural president of the Scarborough Community Renewal Organization, a non-profit that works to help develop a “bold vision for Scarborough,” McKelvie said she also wants to develop an arts centre to showcase the cultural diversity of her ward and help stimulate the regional economy. She also intends to work toward developing “trade-training” centres in preparation for the various infrastructure development coming to Scarborough. On student issues, McKelvie emphasized creating safe and affordable housing for students, particularly by enacting regulations for rooming houses in consultation with students, residents, and rooming house owners. “Scarborough deserves better,” she said. 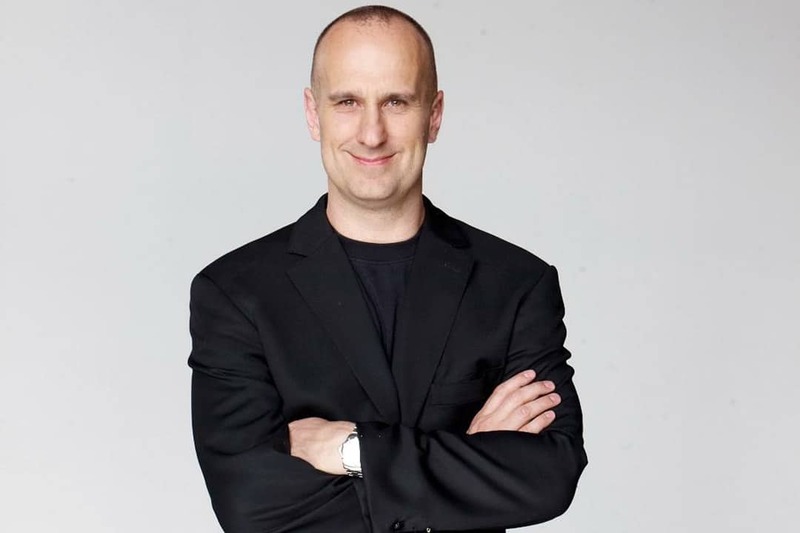 Paul Cookson, the founder of a Toronto-based advertising agency, believes that the key to strengthening students’ job prospects after graduation is to prop up local businesses. Cookson also commented on the lack of affordable and safe housing for students. To address high costs in Ward 25, he started the website 25housing.ca where homeowners can list rooms in their homes and residents can live there in exchange for helping with chores. Cookson added that rooming houses should be legalized so that they won’t fly under the radar anymore. Cookson said that what sets him apart from other candidates is his focus on housing and local small businesses, and the initiatives that he has already started. Daniel Cubellis, a graduate of U of T’s civil engineering program and an infrastructure specialist, is running on a platform of efficient public transit, affordable housing for seniors and the vul and engagement with local communities. Cubellis noted that the three-stop system will also allow for increased development in the area because they’re already hubs. He also wants the city to look into creating more express bus lines. On affordable housing, Cubellis referenced the fire that killed a UTSC student in May, asserting that the city needs to regulate rooming houses while having spaces available for students. Jasper Ghori — a marine trained engineer who has worked with Bombardier, Celestica, Canada Steamship Lines, and Owen Sound Transportation Company — is running to empower local communities. When asked what UTSC students should look forward to from his platform, Ghori wanted students to know that he will be pushing for the improvement of two key issues that currently affect UTSC students: transit and mobility on campus. 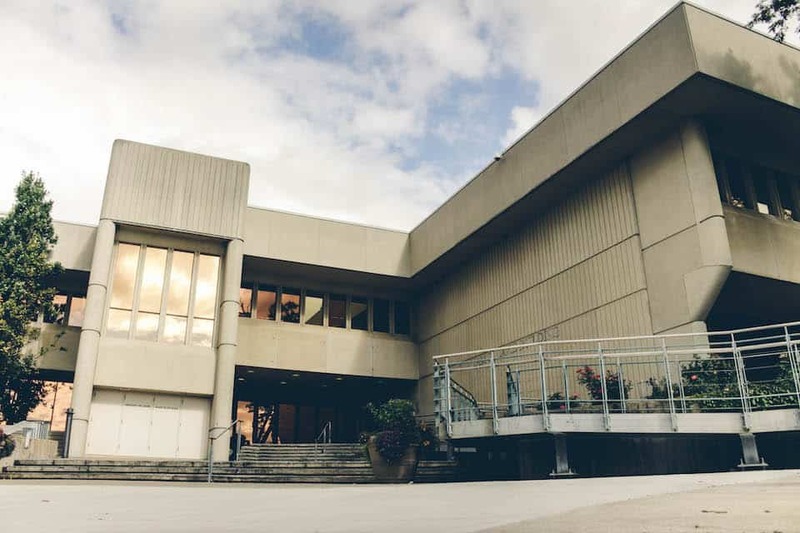 To the latter, Ghori refers to improving mobility between buildings at UTSC, specifically between the Instructional Centre (IC) building that lies on the corner of Military Trail and Ellesmere Road and the rest of the UTSC campus, as IC is detached from the main campus site. Another issue pertaining not just to U of T students, but younger demographics in general, and that has caught the attention of many city-councillor candidates is the legalization of marijuana. Scarborough is no stranger to fatal shootings. Just last Wednesday, 18-year-old Elliott Reid-Doyle died the in hospital after being shot in a plaza near Birchmount Road and Sheppard Avenue in Ward 22, marking the 83rd homicide in Toronto this year. In relation to violence within his own ward, Ghori advocates for intervention over arrests. Eleven candidates are running in Scarborough—Rouge Park: Amanda Cain, Paul Cookson, Daniel Cubellis, Jasper Ghori, Reza Khoshdel, Cheryl Lewis-Thurab, Dave Madder, McKelvie, Christopher Riley, Shan, and Joseph Thomas. Election day is on October 22, and advance voting ran October 10–14. Voters in the ward can either go to Malvern Recreation Centre at 30 Sewells Road or Heron Park Community Centre at 292 Manse Road to cast their ballot. Five Mississauga mayoral candidates contended at a debate organized by the University of Toronto Mississauga Students’ Union (UTMSU) on October 4 at the UTM Innovation Complex atrium. The candidates debated on a wide range of topics, from opinions on Premier Doug Ford’s government to how Mississauga could be more equitable. Of the eight total candidates, incumbent mayor Bonnie Crombie, Yasmin Pouragheli, Scott Chapman, Syed Qumber Rizvi, and Andrew Lee attended. Mohsin Khan and Tiger Meng Wu were not present, and controversial candidate Kevin Johnston was not invited, according to the UTMSU. Johnston was charged with promoting hate in an earlier incident in March. The debate began with opening statements and included a question period. Crombie spoke about her work in office, highlighting the success of initiatives such as ‘Making Room for the Middle,’ which aims to keep housing affordable for middle-class families and create a safer city. 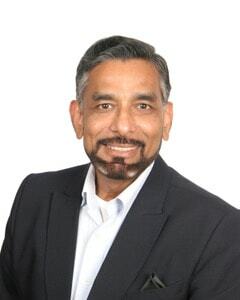 Rizvi, a second-time candidate in the Mississauga elections, held a similar sentiment to Crombie’s, proposing affordable housing projects for single-parent households and low-income families. 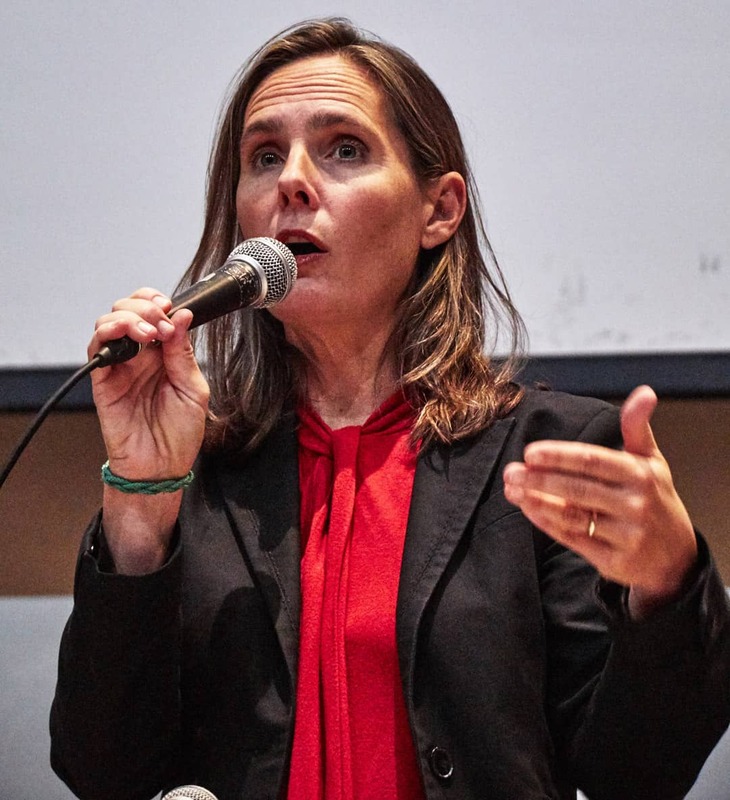 Chapman, another second-time candidate, spoke of an initiative to compensate residents for using solar panels in an effort to encourage sustainability and environmental consciousness. Pouragheli, a 26-year-old law school graduate, presented her plan for legislative reform and said that she intends to help municipalities raise revenue. Lee, a retired engineer, has a platform that advocates for seniors and students alike, drawing from his experiences as a senior citizen in Mississauga. The panel consisted of questions from the UTMSU on transit, student housing, immigration, and child care, as well as questions submitted from the audience on community engagement and diversity initiatives. One Mississauga resident was concerned about transparency between the city council and residents, asking candidates about initiatives the city could undertake to facilitate communication and address unheard complaints. “Call 3-1-1,” suggested Crombie, referring to the city’s hotline connecting residents to city services and information. Chapman proposed a direct line to the mayor’s office, encouraging transparency and open communication between residents and the council. Candidates were also asked questions regarding recent issues such as the changes to the Ontario sexual education curriculum and the increase in minimum wage. Most of the candidates present looked unfavourably on the provincial government’s decision to revert to an older version of the curriculum. Chapman said that he was “disappointed” in Ford’s decision as it would impact the quality of education in Mississauga schools. Pouragheli expressed her support for the 2015 curriculum implemented by the previous provincial government, commenting that “there needs to be a dialogue regarding sensitive topics,” as children are being exposed to sensitive information at a much younger age from the prevalence of social media and the internet. Crombie also expressed her support for the 2015 curriculum, especially as it taught students about topics such as cyberbullying, gender identity, and consent. She noted that parental consultation is needed to put forward an updated curriculum and allow transparency between school boards and parents. Lee shared Crombie’s view, calling for a proper curriculum that involves both school board officials and parents. Candidates also expressed strong support for the minimum wage increase. Chapman said that he is a strong believer in the minimum wage increase as it provides a larger disposable income for families in need. On top of minimum wage, she suggested adding additional services for families in need. While Lee supported the minimum wage increase, he also acknowledged that wages should be set according to standards of living and need to be balanced. Toward the end of the debate, an audience member asked about diversity and equity initiatives in employment and what candidates would do to encourage inclusion. Crombie suggested removing names on résumés, a practice used by employers to prevent bias and focus on merit. She added that jobs serving the community, such as police services and firefighting, should reflect the diverse community that they serve and suggested advertising jobs in cultural newspapers. Pouragheli agreed with Crombie on removing names on applications, although she said that there could still be small indicators and leeway for bias. Chapman noted that, on top of removing names in job applications, gender also should be removed to address further bias. Recalling his experience seeking employment in 1973, Lee agreed with merit-based applications and called for greater equity initiatives. Rizvi said that the mayor of Mississauga would look past bias and take opinions, regardless of race. Advance voting for UTM students happened from October 13–14 at all community centres and elementary and secondary schools in the Ward 8 area. On October 22, UTM students will have access to various voting locations near campus. St. Mark Separate School, South Common Community Centre, Holy Name of Mary College School, Erindale Secondary School, Oakridge Public School, St. Margaret of Scotland Elementary School, and St. Clare Separate School in Mississauga all offer polling booths close to their classrooms. Mayoral candidate and former Toronto chief planner Jennifer Keesmaat spoke at a student-led discussion hosted by the Urban Studies Student Union on September 24 at Innis Town Hall. The event, titled “Our City, Our Future: Students in Conversation with Jennifer Keesmaat” aimed at discussing pressing Toronto issues, including public transit, affordable housing, local arts and culture initiatives, and the importance of local democracy and community engagement. The discussion was moderated by Anjuli Solanki, an artist and the Director of Community Programs at the Sustainable Thinking and Expression on Public Space Initiative, which provides a creative space for public engagement and community building projects in developing neighbourhoods. When addressed with the issue of affordable housing, Keesmaat put forward her strategy of creating 100,000 affordable units on city-owned land, which she said would target both working- and middle-class families. She also criticized incumbent Mayor John Tory’s housing strategy, saying that during his tenure as mayor, he sold city-owned land to developers to build luxury condominiums, which contributed to the already-skyrocketing real estate market. Keesmaat’s public transit plan was a prominent topic of discussion, especially her focus on Relief Line transit and the development of Line 3 Scarborough. She added that she wants to develop a long-term transit plan to fix what she sees as the failure of the current state of Toronto public transit. Keesmaat noted that property closest to transit is the most expensive for families, thus making it inconvenient to find an affordable home with a reliable transit route. Additionally, she pointed to the overcrowding of Line 1 Yonge-University during rush hour leading to issues such as long waiting times and insufficient subway infrastructure. Keesmaat was critical of Tory’s SMARTtrack plan, which she said has taken four years to build since Tory’s 2014 mayoral campaign and costs nearly $1.46 billion. She plans to fund the cost of her transit plan through responsible funding and affordable fares. The province has granted the city $5 billion for subway development, committing to cover one-third of the costs. In her transit network plan, Keesmaat plans to reach out to marginalized communities and ensure a reliable transit network, specifically referring to the proposed Jane light rail. When discussing the local Toronto arts and culture scene, Keesmaat encouraged the expansion of growing cultural hubs and programs. She referenced the Artscape Weston Cultural Hub, a public space partnered with Artscape and Metrolink providing a creative space for artists and aimed at revitalizing an area in need of renewal. She emphasized that local arts employ 11 million people annually, though it often faces major budget cuts from the provincial government. Keesmaat stresses that accessing the arts strengthens connections between and within neighbourhoods. “Arts and culture are a way we build our identity, tell stories, and make sense of who we are as a society,” said Keesmaat. When asked about Premier Doug Ford’s decision to cut the number of city council wards from 47 to 25, Keesmaat responded that she “would not have traded democracy,” and emphasized the need for a strong mayor to stand up to the premier. She added that local democracy matters and that Ford needs to “mind his own business,” pointing to the $15 billion provincial deficit.